With all of my moving & houseguest busyness, I haven’t had a chance to blog about the fun places my art is showing up. 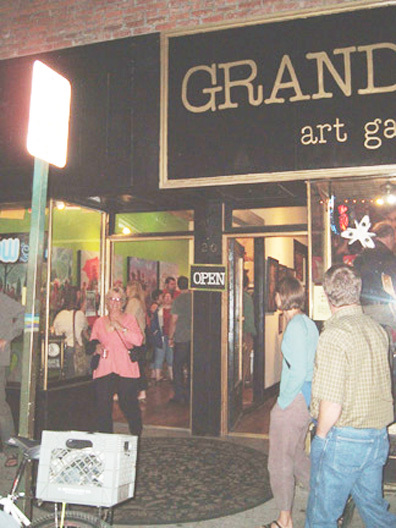 Exhibit A: the Twitter 140 art show at Grandon Gallery in Flagstaff, Arizona. The pic above is my finished painting, drying on my patio table. I originally painted it on heavy cold press paper for easy framing, but after trying (unsuccessfully) to track down some plexiglass so I could ship the thing, I opted for mounting to wood & then coating with many, many coats of glossy varnish. It’s hard to tell from this pic, but I really love the way the glossy top coat makes the colors looks so rich & saturated. Now I want to do this to all my paintings! Since the Grandon Gallery is quite a hike from ye olde Canada, I was tickled to see so many great photos popping up from the other artists who were able to attend in person. I believe these photos can be credited to Claude Shawbell III (aka @dooko). Thanks Claude! 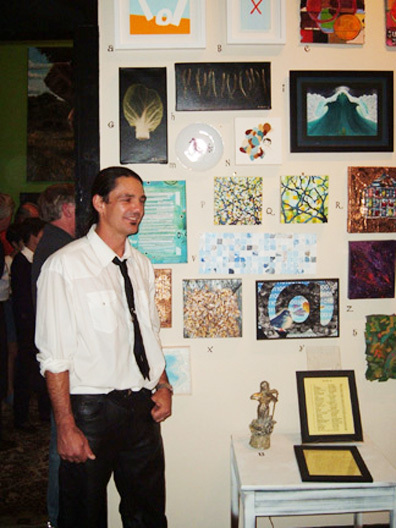 Here’s a peek of the installation including my piece & the owner of the gallery himself, David Grandon. Apparently the mayor of Flagstaff even made an appearance! Wish I could’ve been there too. 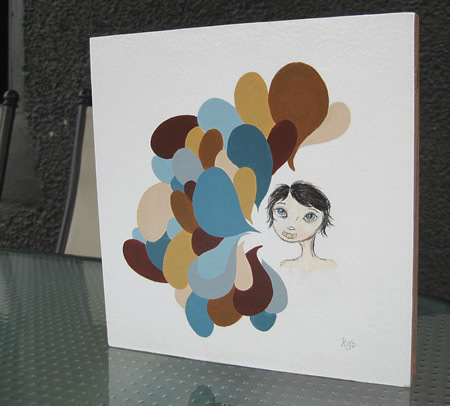 Kris, I love to use varnish on my paintings as well, the colors come out so much brighter. Congrats on your work being presented in Gallerys.